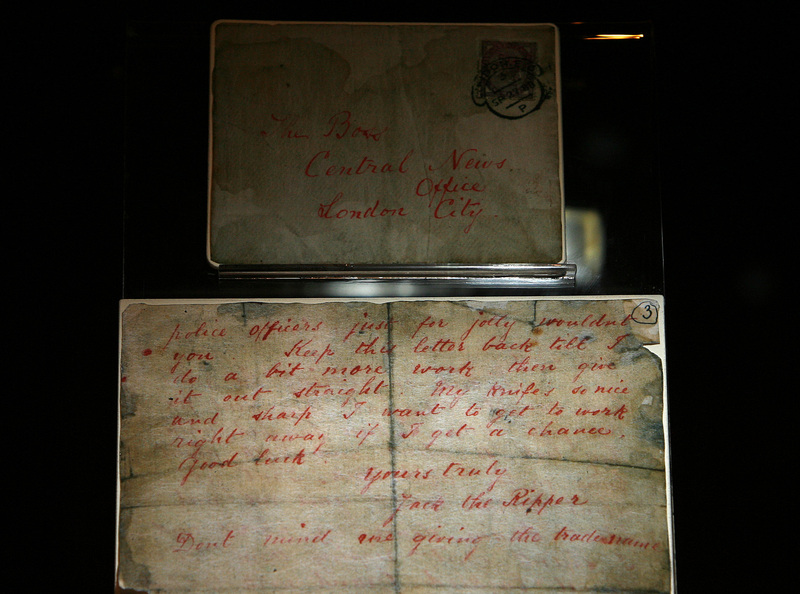 126 years later, notorious serial killer Jack the Ripper ID'd? A British author and amateur sleuth says he has unmasked Jack the Ripper, the pseudonymous serial killer who allegedly murdered at least five prostitutes in London more than 125 years ago. No one was ever charged in the murders that plagued London's East End in 1888, but Russell Edwards claims a blood-stained shawl he bought at a 2007 auction helped identify the killer as Aaron Kosminski, a Polish immigrant who was 23-years-old at the time of the killings and who died in an asylum in 1899. Edwards' book on the subject, "Naming Jack the Ripper," is expected to be released in the United Kingdom on Tuesday. Five murders between Aug. 31, 1888 and Nov. 9, 1888 have historically been blamed on a single killer referred to as Jack the Ripper. Mary Ann Nichols, Annie Chapman, Elizabeth Stride, Catherine Eddowes and Mary Jane Kelly were all found stabbed to death and disemboweled within one-fourth of a mile from each other in Whitechapel, London. Over the years, Jack the Ripper became a notorious figure in crime and countless books, movies and documentaries have speculated on who may have been responsible for the brutal crimes. The 48-year-old Edwards, of London, reportedly became "captivated" with the murders and spent his spare time investigating them. The shawl he bought in 2007 was reportedly found by the body of Catherine Eddowes, one of the victims. After buying it, he enlisted the help of Jari Louhelainen, an expert in molecular biology who reportedly was able to extract DNA from the shawl. Louhelainen and Edwards say that DNA led them to identify the killer as Kosminski - who had been named for years as one of six key suspects in the killings, reports the Guardian. "On the testing, the first result showed a 99.2% match. Since the DNA has two complementary strands, we went on and tested the other DNA strand, which game a perfect 100% match," Louhelainen told the Liverpool Echo newspaper. "The circle is now complete. One of the greatest unsolved crime mysteries of all time has been solved through cutting edge science, historical research and a great deal of determination and good fortune," he added.